Dimitri Devyatkin (Russian: Димитрий Дeвяткин, born July 31, 1949) is an American director, producer, screenwriter, video artist, and journalist. Devyatkin uses elements of humor, art and new technology in his work. He is known as one of the first video makers to combine abstract synthesized imagery with camera footage. His programs have been broadcast domestically and internationally on ABC, PBS, Channel 4, WDR, France 3, TF1 and Channel One Russia. His works consist of digital media, computer art, broadcast news and feature filmmaking. His activities in the creation of new independent US filmmaking have been documented by Jonas Mekas in "Birth of a Nation" (1997). Devyatkin grew up in Manhattan, New York. During his childhood, he was neighbors with young Kareem Abdul-Jabbar. Devyatkin attended New York City public schools, including the Bronx High School of Science. He studied Classics at St. John's College. Devyatkin studied classical violin from the age of twelve at the Greenwich House Music School. While in high school, he played violin with youth orchestras in Carnegie Hall and Lincoln Center. Devyatkin studied modern music composition with Grammy-winning composer Joan Tower. In California, aged 17, he spent a summer playing electric violin with the legendary jazz saxophonist Rahsaan Roland Kirk. Devyatkin is of Russian heritage. In 1971, he began experimenting with abstract video art, while living in Santa Barbara, California. 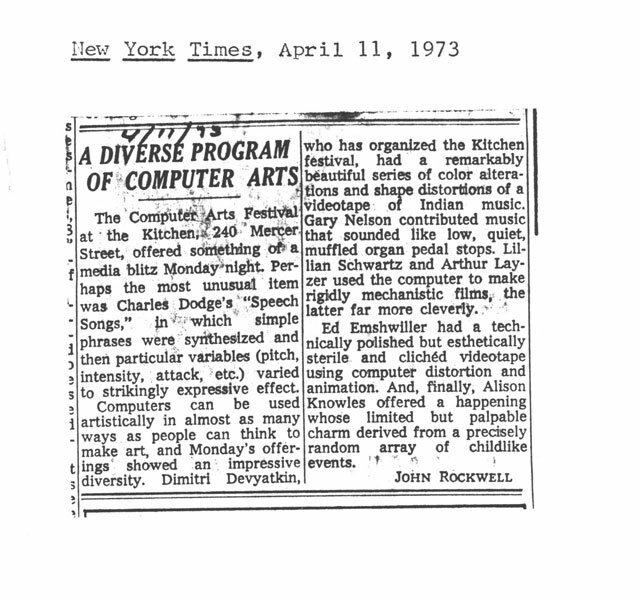 That year, Devyatkin met Nam June Paik, who advised him to visit the newly organized theater The Kitchen in New York. Upon meeting the founders, Steina and Woody Vasulka, he became the video director between 1971–1973, organizing video and electronic art performances nearly every day for two years. He organized video shows in the United States and Europe. These include a US Department of State sponsored tour of Amerika Haus centers in six German cities and shows at the American Cultural Centers in Paris and London. In 1978, Devyatkin collaborated with Nam June Paik to produce a light hearted comparison of life in the two cities, Media Shuttle: New York-Moscow on WNET. The video is held in museum collections around the world. He documented the marriage of two Fluxus pioneers, George Maciunas and Billie Hutching in a series of Fluxus style performances in SoHo, Manhattan. In 1978, he assisted the artist Charlotte Moorman to organize the Annual Avant Garde Festival of New York held that year on the Staten Island Ferry. He spent time with John Lennon and invited him to teach a course the next day at the alternative high school where he was teaching, Elizabeth Cleaners Street School. In 1983, Devyatkin directed Video From Russia: The People Speak, which was narrated by Margot Kidder. (see) It was aired on KABC-TV four times, WABC-TV, France 3 and Channel 4. It was nominated for an Emmy in Los Angeles. The program was described as "a rare opportunity to hear spontaneous comments from people who are lumped together in political rhetoric as our enemy." It was awarded the Gold Medal at the New York International Video Festival in 1984. Devyatkin directed Verkola: A Village in Northern Russia in 1986. It was sponsored by TPT, PBS, Channel 4, and France 2. The program is a portrait of life in a tiny village near Arkhangelsk. He started working for CBS News in 1988 to cover the Moscow Summit between US President Ronald Reagan and Soviet leader Mikhail Gorbachev for the CBS Evening News and CBS News Sunday Morning. He was also a producer for Worldwide Television News (WTN), where he covered the dissolution of the Soviet Union, Armenian earthquake in Spitak and the Ecologists' Movement in the Baltic States. During the Glasnost period, Devyatkin was the American co-director on Soviet television for the program titled "Come Together." The Soviet-American co-production documentary followed a peace march of 500 American and Russian activists from St. Petersburg to Moscow. It was one of the first times that dissidents were able to speak on Russian television due to Dimitri. (see) Devyatkin produced a series of interviews for MGM with Heroes of the Soviet Union. Those who were interviewed include the liberator of Auschwitz, General Arkady Petrenko and the discoverer of Hitler's corpse, Elena Rzhevskaya. In 1992, Devyatkin was the line-producer on the Weather Is Good on Deribasovskaya, It Rains Again on Brighton Beach fiction movie. In 2014, it was named one of the 100 Best Russian Films (1992–2013) by Afisha Magazine and Devyatkin was interviewed for the article. During this period, Devyatkin was line producer for five other feature films for Mosfilm, including The House Under the Starry Sky directed by Sergei Solovyov. Devyatkin worked with Metromedia as a Director of Special Projects based in Moscow. he introduced the television channels Eurosport and Nickelodeon to Russia between 1994–1999. He was also General Director of a dubbing studio in the Mosfilm lot. Between 1999–2000, Devyatkin worked with Streamedia Communications Inc. as their Vice President, Europe in Amsterdam and New York, where he created six content channels on the Internet. In the early 2000s, Devyatkin was a professor teaching the Digital Video Production course at New York University, SUNY Purchase and Ramapo College. Devyatkin has worked extensively as a public speaker at universities, represented by the Jodi Solomon Speakers Bureau in Boston. ^ Devyatkin, Dimitri. "Biography – Dimitri Devyatkin." Devyatkin.org. Web. <http://www.devyatkin.org/4.html>. ^ Abdul-Jabbar, Kareem, and Peter Knobler. Giant Steps. Toronto: Bantam, 1985. Print. ^ "Electronic Arts Intermix: Dimitri Devyatkin: Biography". www.eai.org. Retrieved 2016-08-11. ^ Devyatkin, Dimitri. "The House of the Horizontal Synch." Vasulka.org. 2001. Web. <http://vasulka.org/Kitchen/essays_devyatkin/K_Devyatkin.html>. ^ "International Computer Art Festival Programs." Electronic Arts Intermix.1973–1975. Web. <http://www.eai.org/kinetic/ch2/computer/prog.html>. ^ Ostrander, Sheila, and Lynn Schroeder. Psychic Discoveries behind the Iron Curtain. Englewood Cliffs, NJ: Prentice-Hall, 1984. Print. ^ "Suggestopedia: A Science of Learning." Electronic Arts Intermix. Web. <http://www.eai.org/title.htm?id=14028>. ^ Elizabeth Cleaners Street School, Starting Your Own High School: The Story of an Alternative High School (Vintage Books, 1972). Print. ^ "Another Look at Student Rights and the Function of Schooling: The Elizabeth Cleaners Street School", The Harvard Educational Review (Winter 1970). ^ Margulies, Lee. The Los Angeles Times. July 26, 1984. ^ "The Kitchen Listings." The Kitchen. Web. <http://vasulka.org/Kitchen/kitchen_listing.html>. ^ "Media Shuttle: Moscow/New York." MoMA | The Collection. Museum of Modern Art, Web. 1978. <http://www.moma.org/collection/browse_results.php?criteria=O%3AAD%3AE%3A35597&page_number=1&template_id=1&sort_order=1>. ^ "Visual Arts Faculty Exhibit Recent Work At Ramapo College." Ramapo College Press Release., August 25, 2004. Web. <http://www.ramapo.edu/news/press-releases/08_25_2004b/>. ^ Kopenkina, Olga. "The State Center for Contemporary Art Anna Akhmatova Museum at the Fontanniy Dom." Russia: Significant Other (Russia as Inspiration for the West) Ambriente.com. Feb.-Mar. 2006. Web. <http://www.ambriente.com/russia/russia_brochure.pdf>. Article by Dimitri Devyatkin "Streaming for whom: advertisers or people?" This page was last edited on 21 February 2019, at 13:08 (UTC).